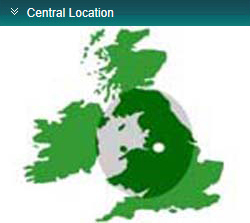 in the centre of the North West of the UK. Pointing & Restoration Services Ltd offers a full scaffolding service throughout the UK for industrial, commercial and domestic customers. With 20 years of experience within the scaffolding industry we work closely with our customers directly. We offer a first class service with all our work. 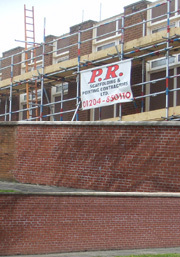 Full & partial building & wall brick pointing & re-pointing. Grinding systems using latest H&S Guidelines. Cavity wall tie replacement and isolation. Chemical and powerjet wash brickwork cleaning. Property surveys, inspections, reports and estimates. Experienced and professional company & staff. Highest standard of work on every property. Thorough, clean and efficient work to any deadline. Competitive rates with free estimates & quotations.